I haven’t written much about this goal and my training but I thought I’d finally tell the story of this goal and the accomplishment I am truly thankful for. I started running in 6th grade when I had to run the mile for a physical fitness test and finished 3rd in my class, 2 boys that were already over 5ft tall finished before me. (As a side note, they both played college ball; one baseball and one football.) So I knew from that moment on that I’d be kinda good at running but I never knew I’d grow to love it this much! I ran tack in Junior High, running the 800 meters and occasionally the 1600 meters. I also ran on the 4 x 800 relay team. I loved racing but was not really great at the mile and wasn’t quite fast enough to place overall at the 800 so when our 8th grade coach introduced us to Cross Country with the 5K & 10K races I loved it! The only two things I didn’t like about Cross Country season was that it was pretty cold during the last few weeks of the season and we still had to do sprint workouts (I am NOT a sprinter). However with the sprint workouts over time I realized that I was an okay 200 meter sprinter which always helps me in races. I ran throughout High School and went off to college. I ran on and off in college until I transfered schools to the University of Memphis were I made the cheerleading squad. We had to maintain a certain weight range (determined by our coach) so running was a part of our workouts and I fell in love again. But with cheer practice, school, working full-time, and a dating life running got the boot unless I had a few hours to spare. I fell in love, got married, and started this “real” life everyone said would kill my running passion and it DID until Justin and I moved to Ft. Worth, TX. I don’t know if it was the fact that we had to start over with friends, church and everything or what but I started running again. I didn’t get serious about my running until about a year after we’d moved there. 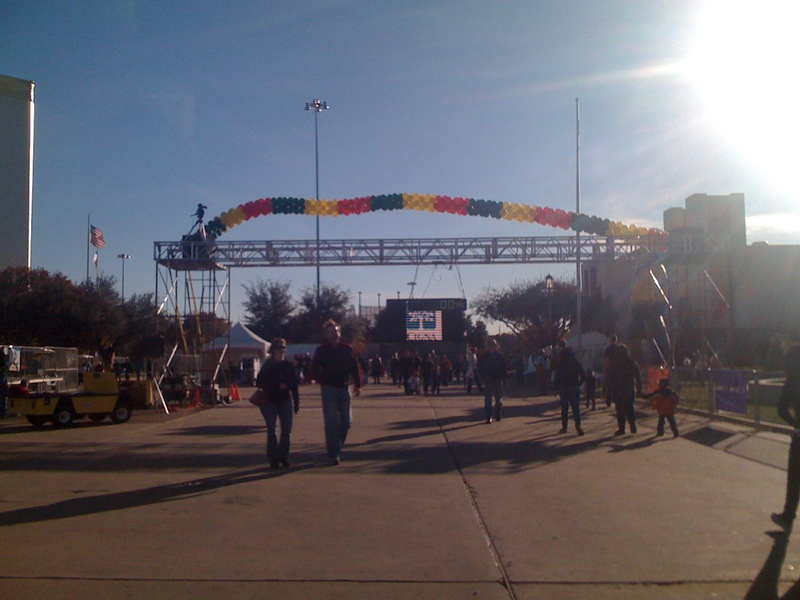 I went to watch a local marathon one Sunday morning and was hooked! I started training for what was going to be my first marathon and low and behold I got pregnant about 3 months into my training. My due date was 4 weeks after my marathon date goal:(. My little sister, Laura however kept the goal and ran it! I was SO proud of her because she was not the runner in our family but she was determined and did it! I knew that I would do one someday but now with a newborn, mommy’s running time was again non-existent. I ran when I could but could never get to the point where I felt like I could start officially training again. Another life change happened and we moved to Lubbock, TX. I decided I would start running again…one thing I didn’t realize was that this place is WINDY! It took quite a while for me to get that training point but I did it and low and behold, yup…got pregnant again! I joked that I wouldn’t ever again officially start training for a marathon again because I always seem to get pregnant as soon as I get serious about this goal again but of course that’s just where were in life too. 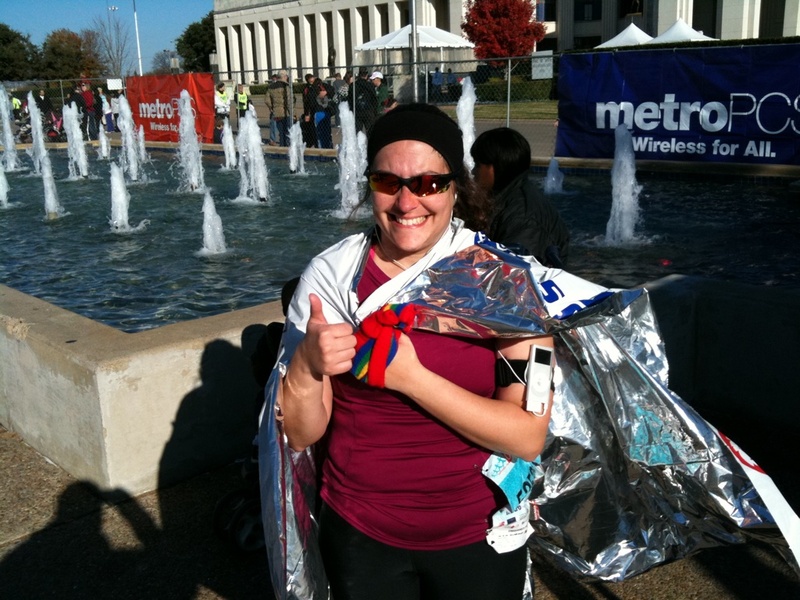 I ran in the MetroPCS White Rock Marathon in Dallas, TX on December 5, 2010!! I ran it in 6 hours and 01 minute according to the race clock. It was nothing but an amazing experience that I cannot wait to do again! Starting early that morning once Justin and I had gotten in the Explorer to head to the race my stomach started turning and turning. I thought to myself, this is NOT good. Sure enough we got to the parking area pulled in it and I immediatley told Justin to turn around and find a gas station. You see the only places to go to the bathroom at the race site were about 50 port-a-potty’s near the starting line which was approx. 3/4 mile from where we were about to park. So being a good husband he did just that. We found a very sketchy looking gas station on the corner of an exit to I-35 in South Dallas and pulled in. There were no cars there but the lights were on so…up to the front door I run only to find it locked! There was an Indian guy inside sweeping and he came to a little window and opened it to ask what I needed. Justin was out of the car at that point and informed the man that I needed to use the bathroom bad. He said, we’re closed but I’ll let you in very quickly. So inside I go. I come out after feeling a HUGE weight come of my shoulders and Justin is talking to this man about church, turns out he was a believer who was planning on returning home to India soon to share with his family his new faith. How awesome is GOD! 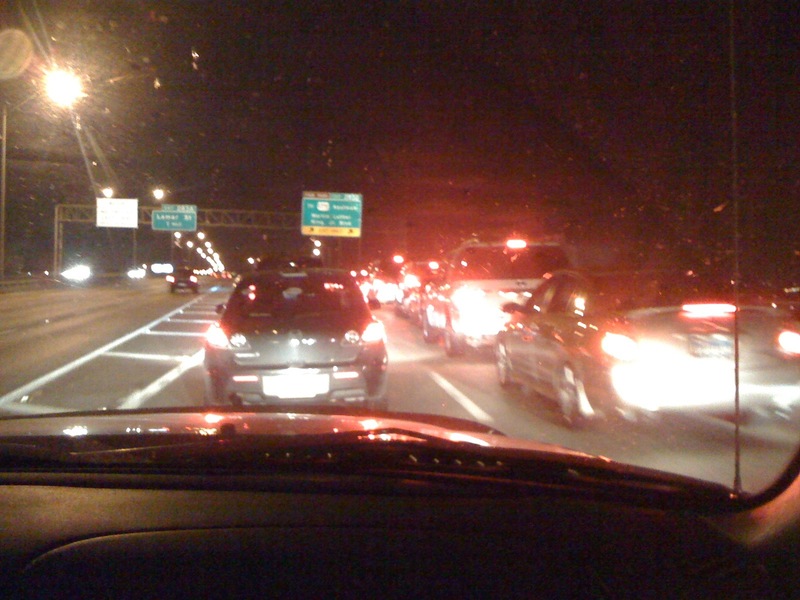 So back into the race traffic we went to park and go on into the start area. I was so overwhelmed with the thousands and thousands of people there that I started to get really nervous. I knew I had to find my starting corral and stretch but I also had to pee AGAIN by now. I could kinda feel that something wasn’t right but knew that I’d have to just run through it! I kept going and at mile 21 1/2 at the water & Cliff Shot station I took 3 waters and 1 Gatorade along with a pkg of Cliff Shots because I was determined to finish this thing strong! I was walking drinking and eating and all of the sudden I see Justin! I was so excited!! He walked with me to the 22 mile marker and kept encouraging me to finish strong. I ran the remainder of the race at the fastest pace I could will my body to go:). Of course at mile 23 I had to pee so I somehow willed my body to once again sit down and get back up. As I stepped out of the port-a-potty I spotted a lady running with a large cut out posterboard heart on her back. It had a few pictures of a little girl (maybe 2 1/2 or 3 years old) with the phrase “I’m running this for my Addyson!” I started crying and stayed behind her for the next 2 miles! As we headed down the same mile path that we had started the race I began to get consumed by my emotions again and about 100 meters from the finish line tears were streaming down my face. 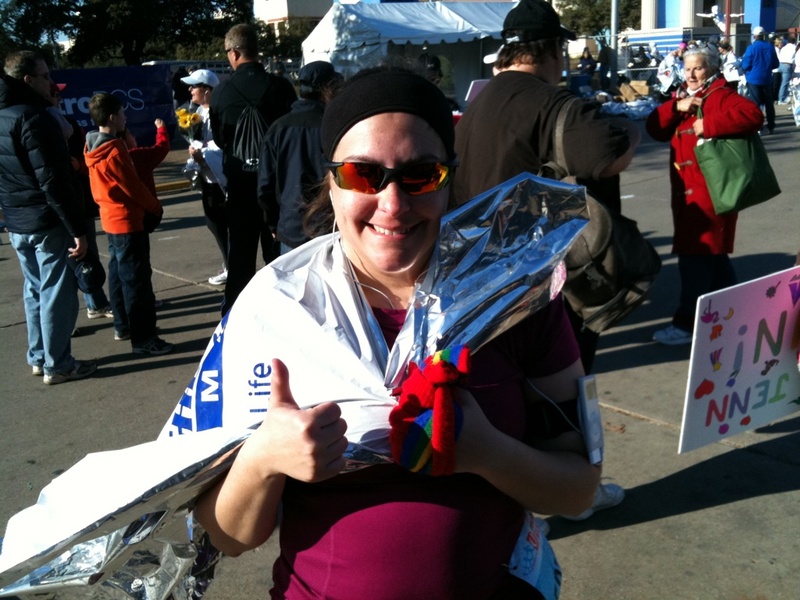 I finished the race and was so overcome I was sobbing! Everyone was so encouraging!!! 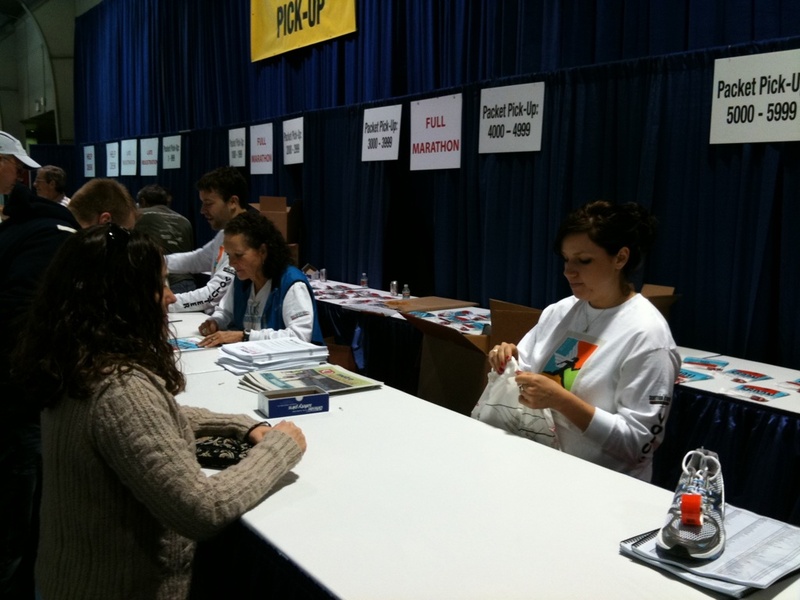 THANK YOU to all the volunteers & thousands and thousands of people who came out to cheer for us runners. Justin was so great and walked/ drove all around downtown and south Dallas to support me! I LOVE HIM!! He also took me to a GREAT celebration dinner at Hillstone (Houston’s) in Hyde Park. Thanks also goes out to my mom for watching the kiddos in Lubbock so Justin and I do this race thing! Here are some pictures we captured of our experience. 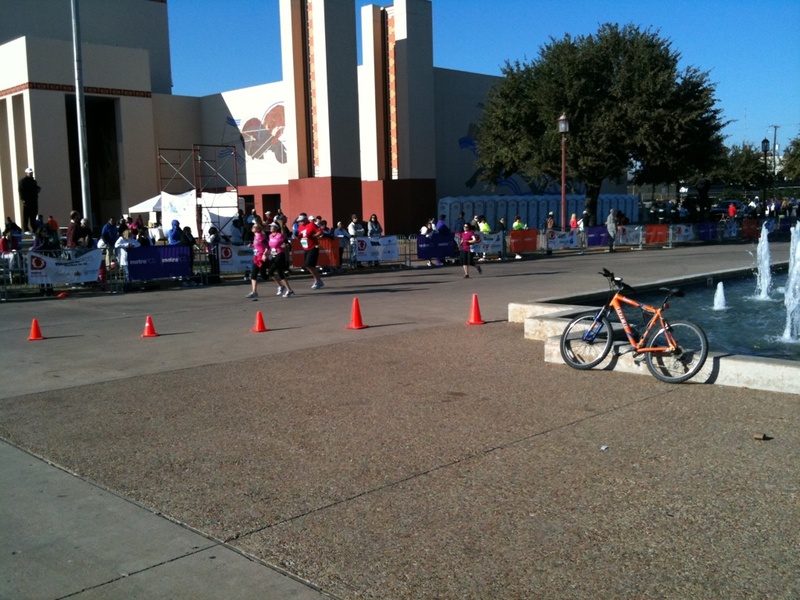 I'm the little pink/purplish runner behind the group of 3 women who finished before me. 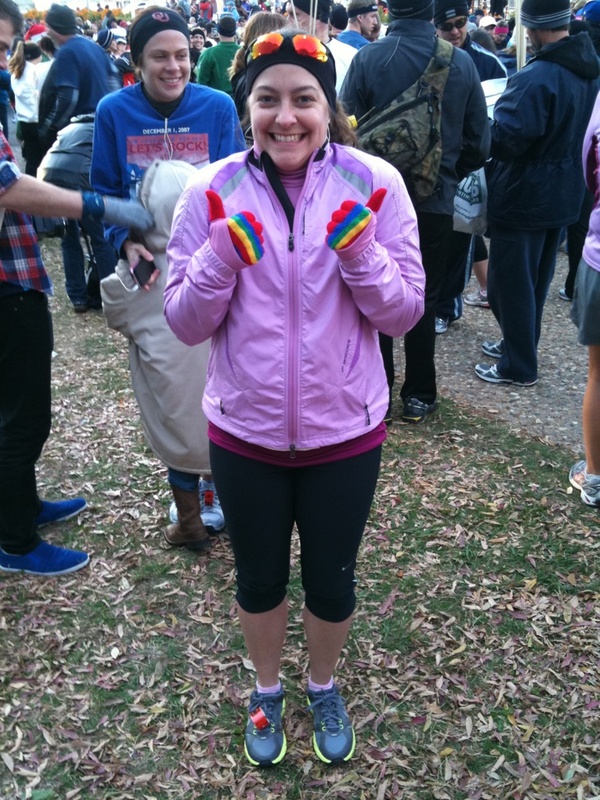 THIS is proof that I did FINISH!